Q. Where can I find a citation generator? Calvin College's KnightCite is a good website for generating citations. OneSearch and many of the databases are capable of generating citations. In OneSearch, look for the quotation mark as shown below. 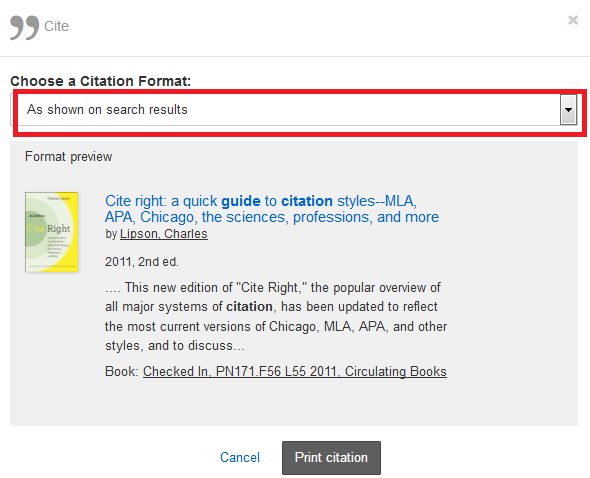 Once you've clicked that, make sure to select which citation style you need from the drop-down menu (in red). 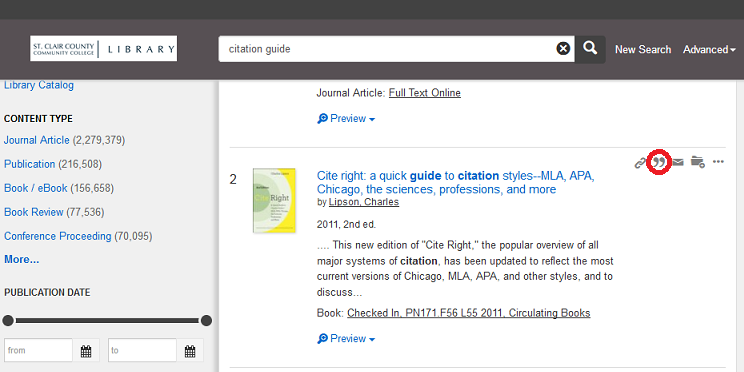 When looking for a citation generator in the databases, look for links that say "Cite" or "Tools" or "Citation Tools". We always recommend double-checking any auto-generated citations as sometimes they are not up-to-date or will not generate a perfectly correct citation. The MLA and APA guides linked below may be useful in checking your citations.